In the world of cinema there is none other which can be compared to Hollywood. The glamour, the money and the fame that a Hollywood actor enjoys is unsurpassed by any other actor from the other film industries from around the world. Some of these actors from Hollywood are legends in their own rights. Besides the fame, the fortune also shines upon these talented artists. Tom Cruise hardly needs any introductions. 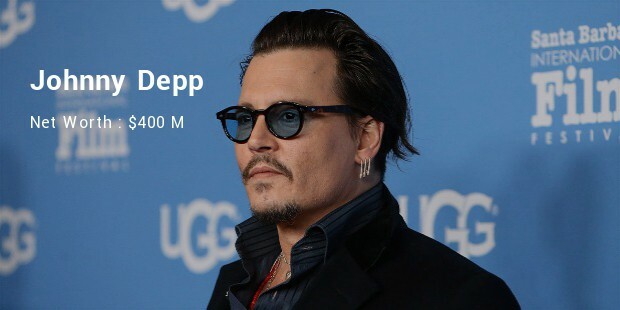 He is one of the most-recognized Hollywood actors around the world and leads the list of the richest Hollywood actors with a net worth of an estimated $470 million. 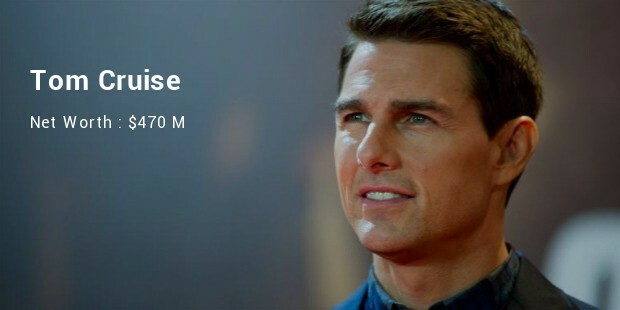 He is a handsome heart-throb who has appeared in popular movies, mainly the Mission Impossible franchise where he plays secret agent Ethan Hunt. His other hits include Vanilla Sky, Minority Report, The Last Samurai along with many other blockbusters. 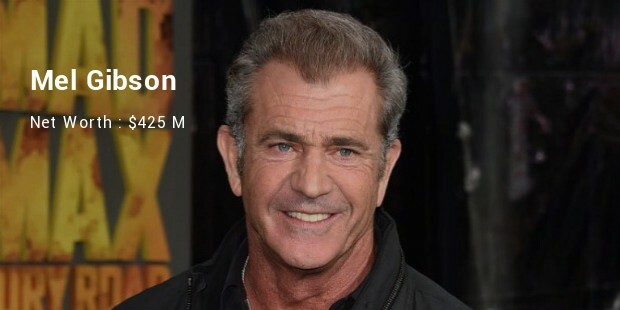 Mel Gibson is one of the easily recognizable Hollywood actors and comes in at the 2nd spot on the richest Hollywood actors list at a personal net worth of around $425 million. He came to limelight mainly after the Lethal Weapon franchise as well as for playing the legendary Mad Max in the movie franchise. He has received the Golden Globe and the Academy Award numerous times for his intense action films. 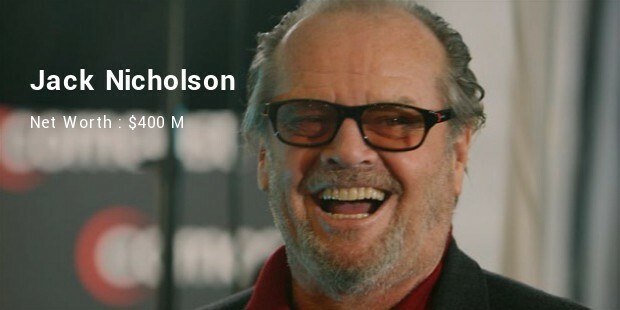 Jack Nicholson is the oldest actor on the list with an estimated net worth of around $400 million. He is best known for portraying challenging characters and for his unique acting style. He is an Academy Award winner as well as a nominee for numerous other awards for his highly-successful films, such as Easy Rider, The Last Detail, Terms of Endearment, The Passenger, A Few Good Men, etc. 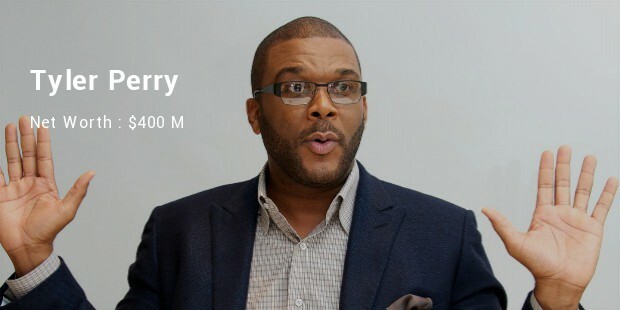 Tyler Perry is not only a noted actor but also an accomplished writer and director with a net worth of around $400 million. He is the highest-paid African American actor in Hollywood and surpasses other notable actors in the list for the richest actors of Hollywood. He is known for his roles in various movies as well as memorable roles in several TV series and stage pieces as well where he is involved in producing and directing. Sylvester Stallone is one of the most popular actors of Hollywood and is estimated to be worth around $400 million. 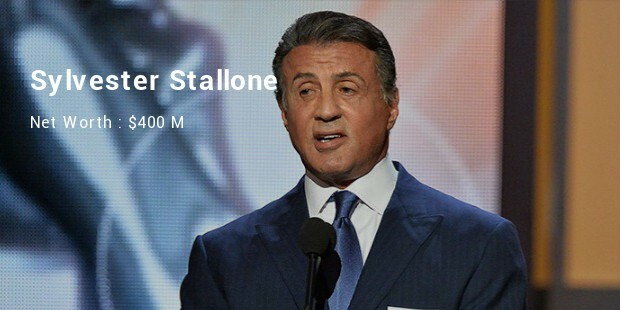 He is a legendary actor who is best known for his Rocky Balboa boxing movie franchise as well as the Rambo action movie franchise where he played the lead roles. His 50+ movies are proof of his impressive acting skills. He is known for playing memorable roles in movies such as First Blood, Staying Alive, Assassins, The Expendables franchise, etc. This recently-deceased legendary stand-up comedian is still estimated to be worth around $400 million after his death. 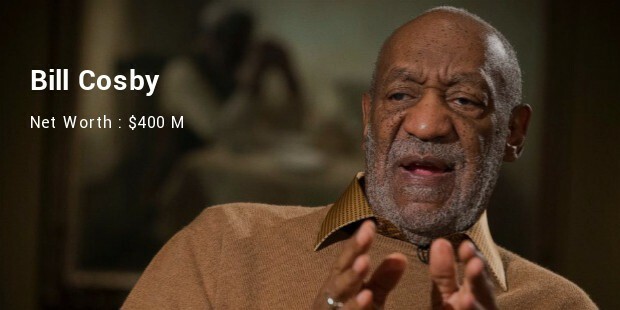 Bill Cosby is the recipient of several prominent honors and awards throughout his long career in the entertainment industry. He is known for his iconic roles in the TV sitcoms, such as I Spy, The Bill Cosby Show and Journey Back to Oz, etc. Johnny Depp is by far the most versatile actor in Hollywood currently. He is estimated to be worth around $400 million today. He is best known for playing some of the most challenging and versatile roles in his career and is regarded as the finest actors in the industry today. The actor in various box-office blockbusters, he has appeared in impressive roles in the Pirates of the Caribbean franchise, Alice in Wonderland, Donnie Brasco, Charlie and the Chocolate Factory, etc. 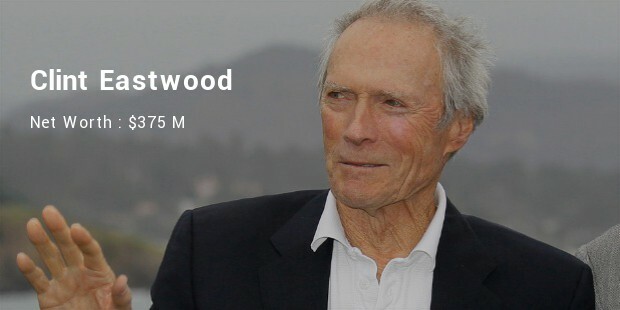 Clint Eastwood is a legendary Hollywood actor, musician, director and producer. This multi-talented actor is estimated to be worth around $375 million. Some of the most memorable roles he played were in Every Which Way But Loose, The Outlaw Josey Wales, Escape From Alcatraz, American Sniper, etc and is the recipient of numerous awards and honors from his acting skills. 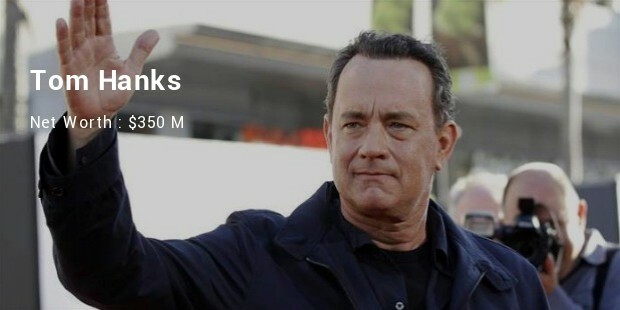 Tom Hanks is another well-known actor with superb and versatile roles to his credit. He is estimated to be worth around $350 million today. He is best known for his remarkable roles in Apollo 13, Cast Away, The Green Mile, Bridge of Spies, The Da Vinci Code, etc. Arnold Schwarzenegger is one of the most popular actors on this list. He is estimated to be worth around $300 million. 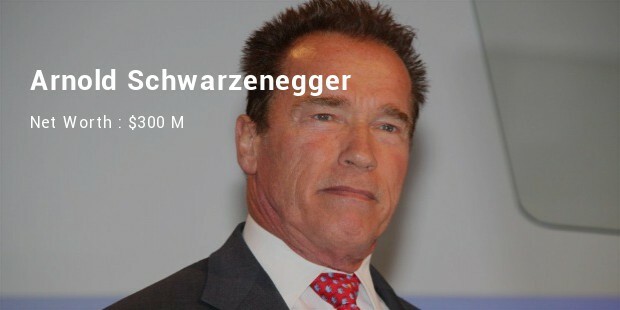 Austrian-born Arnold is also a successful producer, director, writer and businessman apart from being the ex-governor of the State of California in the United States of America. He is best known for his roles in The Running Man, Commando, Predator, Jingle Bells, Conan The Barbarian franchise, etc. These are only the top 10 richest actors of Hollywood who have spent years in the movie industry and have become millionaires with their acting skills as well as other talents.